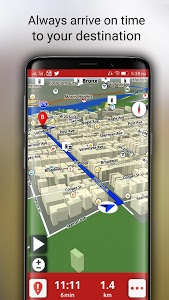 Maps, Route Finder, Navigator & Places Near By is a very handy android application with multiple options like real time traffic, transit, directions, GPS navigation and millions of places of interest. Always get the real time updates and plan your travel accordingly by beating traffic like a pro. 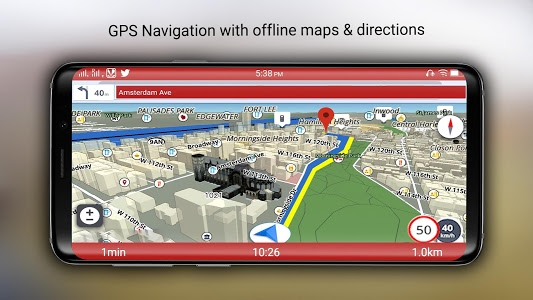 Save time by auto re-routing option enabled and reach destination much faster. 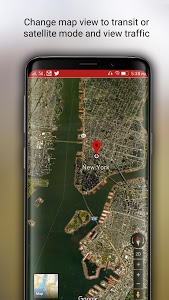 This app is a smart tool for measuring areas on the map. Place your points on the map and then calculate area between your points of interest. You can also calculate total Area of the Route. The inbuilt compass is a very handy tool for navigation and orientation purpose that shows direction based on build-in magnetic sensor. The Compass tool comes in handy during travel, hiking, fishing, hunting and exploring areas and save time by navigating back to the destination easily. 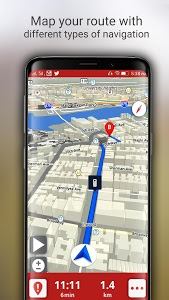 The built in traffic alert is the prime resource for providing interactive, real-time traffic and incidents combined with weather information for travelers across the globe. Driving is not only about beating the traffic but also beating the weather. 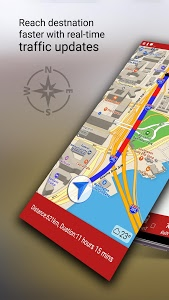 Avoid traffic jams, lane closures, accidents and travel hazards with our application. 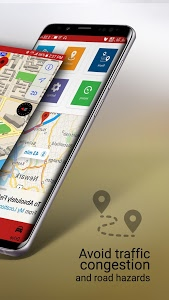 This is the best real-time navigation app available on play store. 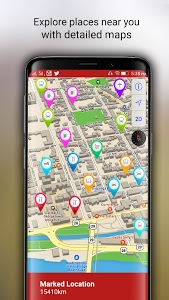 ➢	Find and explore places like restaurant, hospital, bar, bank, ATM, coffee shop, gas station etc. ➢ Measurement Unit Changing Facility in GPS Area Calculator. 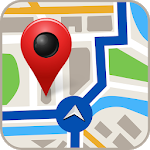 This is one of the best apps available on Google play app store for all your geographical needs. 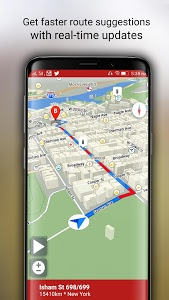 Similar to "Free-GPS, Maps, Navigation, Directions and Traffic"